BD Combo - Using this superdrive for your ultrabook, netbook or PC, you can playback and Burner CD / DVD Disc, which will give you perfect effect when you are watching DVD videos, installing software, or create backup discs, etc. Read Speed: 24x CD, 8x DVD, 6x Blu-Ray / Write Speed: 24x CD, 8x DVD - Using this superdrive for your ultrabook, netbook or PC, you can playback CD, DVD, Blu-Ray, which will give you perfect effect when you are watching DVD videos, installing software, or create backup discs, etc. 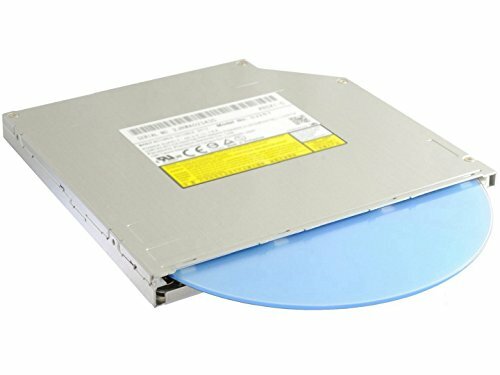 Works for ASUS, ACER, HP, DELL, SONY, LENOVO, THINKPAD, TOSHIBA, SAMSUNG Laptop with 12.7MM thickness and SATA, Slot in style disk.